Has anyone here ever seen Stanley Kubrick’s The Shining? If you haven’t, you should. It’s got a famous ending. Without spoiling it, let’s just say Jack Nicholson’s face gets VERY cold. If only he would have had a new Klim balaclava! The new Klim Shadow Balaclava is an introductory level piece of gear that is simple but effective at retaining heat around your grill. With super-soft stretch fleece and Dri-Release wool construction, you will be able to ride in comfort while also having a formidable wind block. Wearable either over the nose, under the nose, or pulled below the chin, this balaclava offers a varying range of functionality for many occasions. 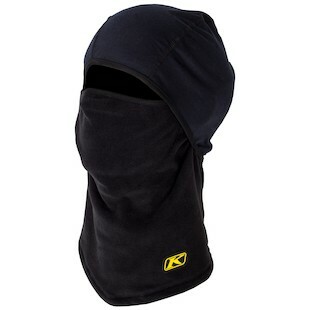 Slightly more robust in design is the new Klim Rogue Balaclava. 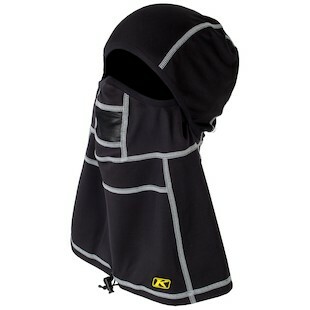 Utilizing both Windstopper and Coolmax fabrics this balaclava maximizes comfort and function. The over-the-collar design has been employed to keep cold air/snow from entering the jacket at all. With the same variable arrangements for fitment as the Shadow, the Rogue will also have a mesh construction over the mouth to allow for better dispersion of breath moisture and a cinch cord around the base to seal out the weather. With the most technical construction of all, the Klim Glacier Balaclava is for the most aggressive of riders who fear not the harshest of riding conditions. Built from a mix of Windstopper and Coolmax materials, features such as strategically placed Lycra stretch panels offer the best possible fit. Additional functionality can be seen through the utilization of a Neoprene breath box built to direct moisture away from your goggles to keep your vision clear. So, the moral of the story is… don’t be a crazy dude who gets lost in a big maze in the middle of a snowstorm and freezes solid. That would stink. 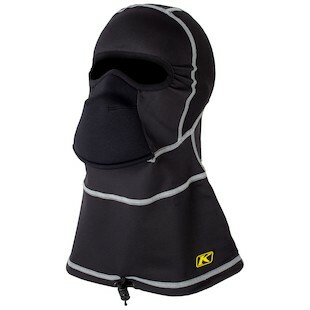 And while you are at it, check out the new line of balaclavas from Klim.